Do you feel like crying often, but don’t understand the reason? There can be a number of reasons underlying this unexplained feeling. It can be perimenopause, depression, menopause, and can be the Premenstrual syndrome. There could be many other reasons behind this unexplained feeling of crying including pseudobulbar affect, sleep deprivation, vitamin B12 deficiency, thyroid problems, postcoital dysphoria, and low blood sugar. All of us go through the hardships of life and there are times we burst into tears without any reason. This all happens because of the internal unhappiness and insecurities. There’s nothing to worry, it’s normal and can be taken positively. But, what’s important here is to find out the reasons behind so that you can work on them. Let’s dig a little deeper into the reasons that could make you feel like crying for no obvious reason. The average sleep hours for a normal human being should vary between 7 to 9 hours per day. Sleep deprivation can have a negative impact on your emotions! Brain’s power to differentiate between what’s trivial and what’s important vanishes. This gives an impression of every little task being a big deal. Even a small thing can make you feel stressed like anything! Today’s lifestyle has become too stressful! And, this can sometimes be the reason for your unexplained crying. 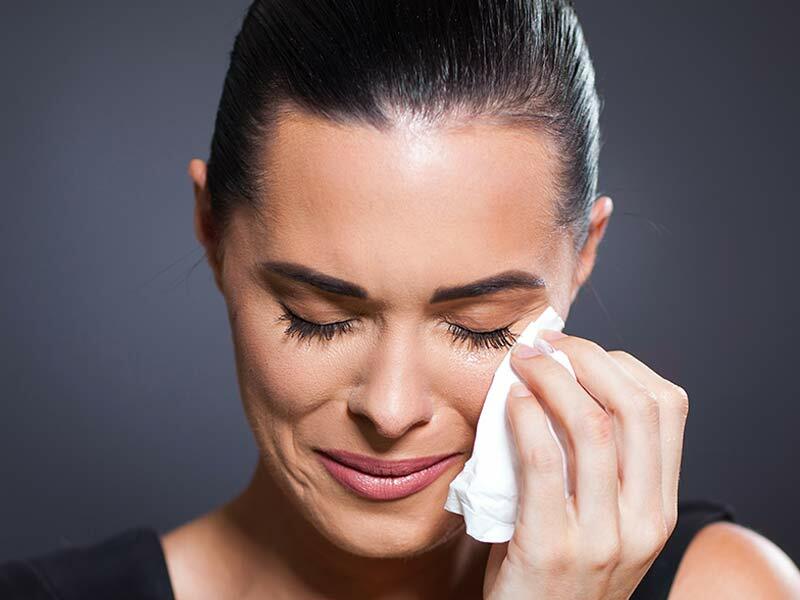 Bursting into tears can sometimes act as a way of freeing yourself from everyday stresses. If you are feeling extreme pressure for a task or anything, it may leave you to feel exhausted, empty, and with no clue of what to action to take. Excessive stress may also result in many unwelcomed physical issues like tummy problems, aches, and headaches. So, it’s important to de-stress, if you are feeling overworked. Vitamin B12 is an important ingredient for keeping your body healthy! It helps in the formation of DNA and keeps your nerve cells healthy. If you feel like crying for no reason, you may be Vitamin B12 deficient. It’s deficiency results in making you feel depressed, irritated and apathetic. Deficiency of Vitamin B can also result in a number of other physical problems like weight loss, weakness, loss of appetite, nerve problems, soreness, poor memory, megaloblastic anemia, balance problems, tiredness, and more. Also called as hypoglycemia, Low blood sugar can also be one reason for the unexplained feeling of crying. Low blood sugar is generally found in people with diabetes, and in those skip meals, eat fewer carbs, exercise intensely, and those who go overboard the diabetes medication. Also, sometimes it can be found in people who don’t have diabetes. There can be many other negative effects of low blood sugar other than the unexplained feeling of crying. It can cause sweating, dizziness, shaking, heart palpitations, tiredness, and moodiness. Other cause for an unexplained feeling of crying can be Thyroid problems. More hypothyroidism, which is a condition in which your thyroid gland stops producing sufficient hormones. This condition is more often caused when the immune system gets attacked by the thyroid gland during the treatment of thyroid cancer. And, hypothyroidism has many other negative effects other than the feeling of crying, which may include weight gain, Depression, and tiredness. Pregnant women are more prone to going through depression. A lot of hormonal changes occur in the body of women during pregnancy and that can result in depression and anxiety. And, this may also result in many other symptoms other than the feeling of crying for no reason. It can cause low energy, hopelessness, sad feeling, and worthlessness. And, you may lose interest in doing things that you used to enjoy earlier. So, these can be some of the reasons for your unexplained crying! You should not panic and relate it to any mental disorder. These symptoms can be treated if the reason is identified at the right time. But, make sure you are not ignoring these symptoms! Consult your doctor to keep yourself safe.